As you may know I follow lovely Lucy's blog called Attic24. She introduced a bread recipe (no-knead bread) which seemed to be very easy to follow and which looked so scrummy that I had to try it. I already baked bread, but only with the no-fail, easy bread recipe I blogged about in September. 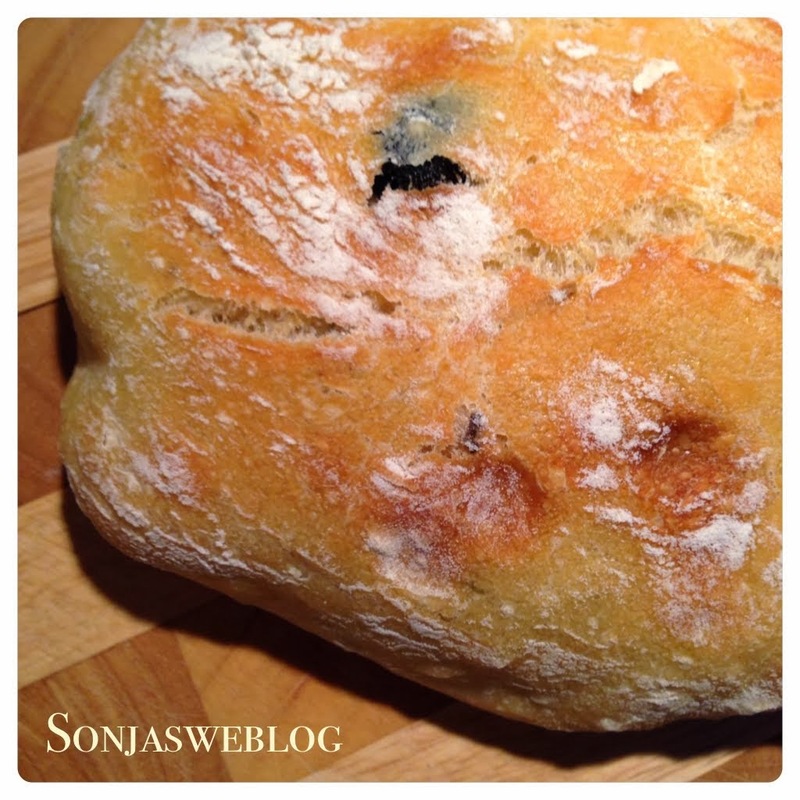 The main difference to the easy bread recipe is the amount of time for the yeast dough to rise - and it really takes time for the no-knead bread, around 12 - 18 hours! And it's worth every hour waiting: the taste is terrific and the texture wonderful. It reminded Peter and me of the white bread we have eaten at an Italien restaurant. I baked this bread twice already and I can confirm that it's really quick and easy to set up the yeast dough. The first time just plain. 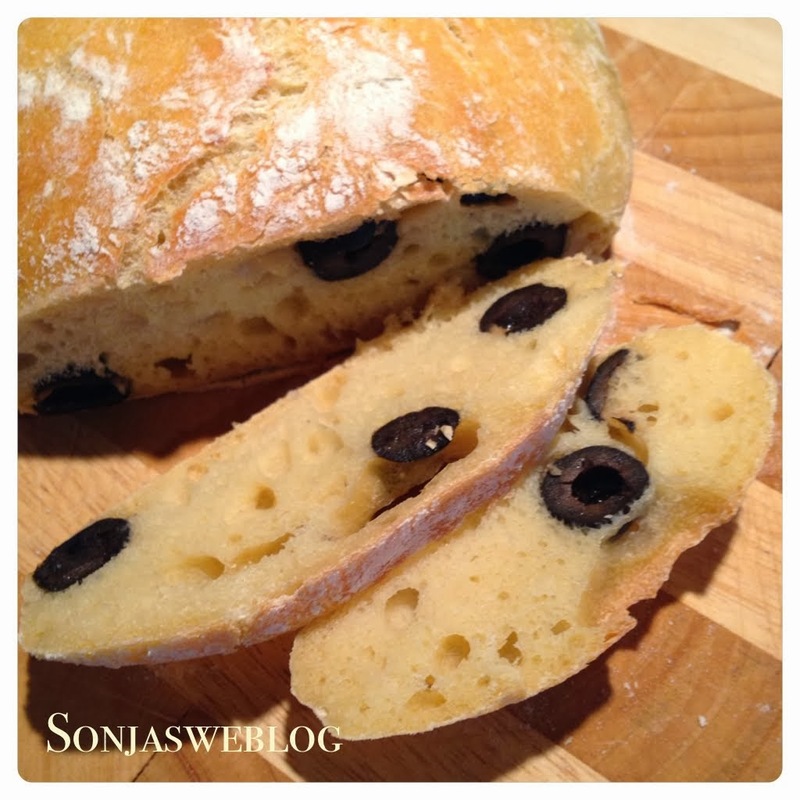 The second time with some olive oil and black olives added. You have to be patient again when taking the bread out of the oven and wanting to cut off a piece of it. The better it cooled the better to slice. 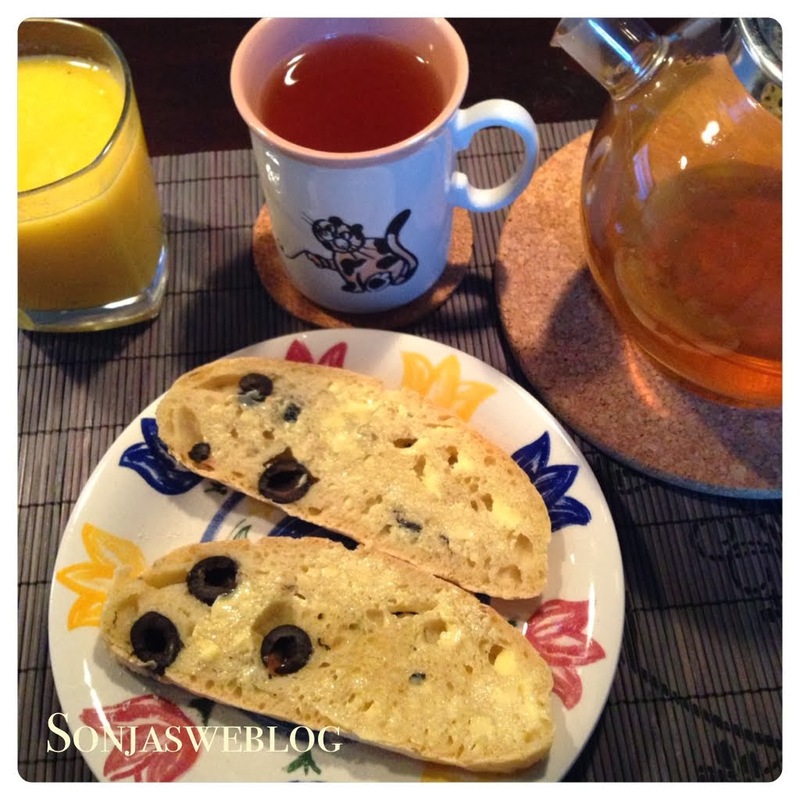 So this was my breakfast on Saturday morning: freshly baked olive bread with butter, orange-banana juice and green tea with lemongrass. Oh what a great way to start the day! Thanks, Angie! Wish I could prepare this more often.